Notes: The Klingon D-7 class composed the backbone of the Klingon fleet in the mid-23rd century. 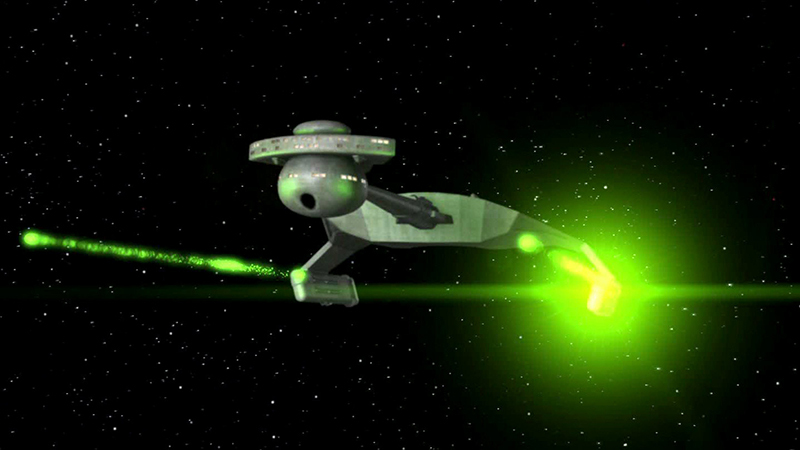 Armed with disruptor cannons and photon torpedoes the D-7 was roughly equivalent to the Federation's Constitution class of the same time period. The D-7's design lineage can be traced back over 100 years to the 22nd century battle cruisers. The Klingon D-7 class may have been the first Klingon ship to be fitted with a cloaking device after the Klingon-Romulan alliance.